Rosai-Dorfman disease (RDD) is a rare histiocytosis which is typically accompanied by painless bilateral cervical lymphadenopathy. The laboratory data are non-specific and the histological characteristic which prevails is the presence of emperipolesis in large foamy histiocytes positive for CD68, S-100 and negative for CD1a. It is still difficult to determine the pathogenesis. The case of a male African-Ecuadorian young adult who made a consultation due to presenting right cervical adenopathy is presented. La enfermedad de Rosai-Dorfman (RDD) es una histiocitosis rara, que en forma típica se acompaña de linfadenopatía cervical bilateral indolora. Los datos de laboratorio son inespecíficos y la característica histológica que predomina es la presencia de emperipolesis en histiocitos grandes espumosos positivos para CD68, S-100 y negativos para CD1a. La patogénesis sigue siendo difícil de establecer. Se presenta el caso de un paciente masculino afroecuatoriano adulto joven, quien acudió a consulta por presentar adenopatía cervical derecha única. Male patient of 47 years of age, with personal pathological history of right groin hernioplasty ten years ago and head trauma four years ago, which caused right laminar epidural hematoma (not operated) and fracture of right petrous bone with effects of peripheral facial paralysis. The patient visits Hospital General Ibarra due to showing right cervical region mass of several months, without specifying the exact time of evolution. During physical examination, the only thing evidenced which draw attention is right cervical adenopathy of 1.5 cm, non-painful and non adhered to deep planes; no hepatomegaly, no splenomegaly, no petechiae, no ecchymosis. Exams are requested, evidencing a normal hemogram, normal liver and renal tests, normal globular sedimentation velocity, normal antinuclear antibodies, rheumatoid factor; cytomegalovirus, HIV, Epstein-Barr: negative, ultrasound: left renal lithiasis without ectasia; no hepatomegaly, no splenomegaly, chest radiography: normal. Without establishing a diagnosis and in addition to the persistence of adenopathy, an excisional biopsy is performed and the histopatological study of which reports: diffuse lymphoid tissue with loss of architecture where infiltration of lymphocytes, plasmatic cells and abundant atypical mononuclear histiocytic cells is observed with presence of intracytoplasmatic emperipolesis, as well as multinuclear cells, dilatation of sinusoids which do not invade the capsule (Figure 1). Immunohistochemical results: CD68: positive in histiocytoid cells; CD15: negative; CD30: negative (Figure 2). With the foregoing we have diagnosed the Rosai-Dorfman disease (sinus histiocytosis). The patient has been kept with regular controls for one year without showing new adenopathies or signs or systemic condition (by means of imaging studies), so that management of this case has not required any systemic therapy, only observation. 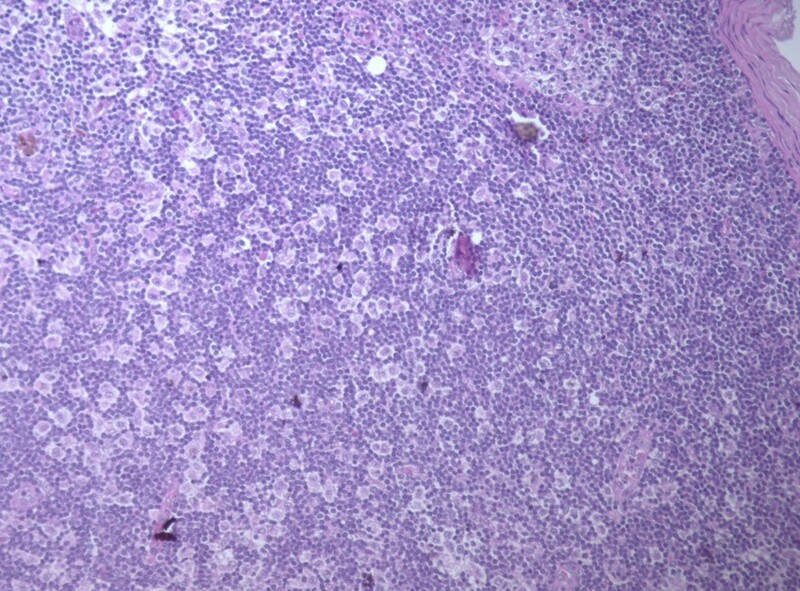 Figure 1: Emperipolesis in cervical lymph node stained with hematoxylin and eosin. 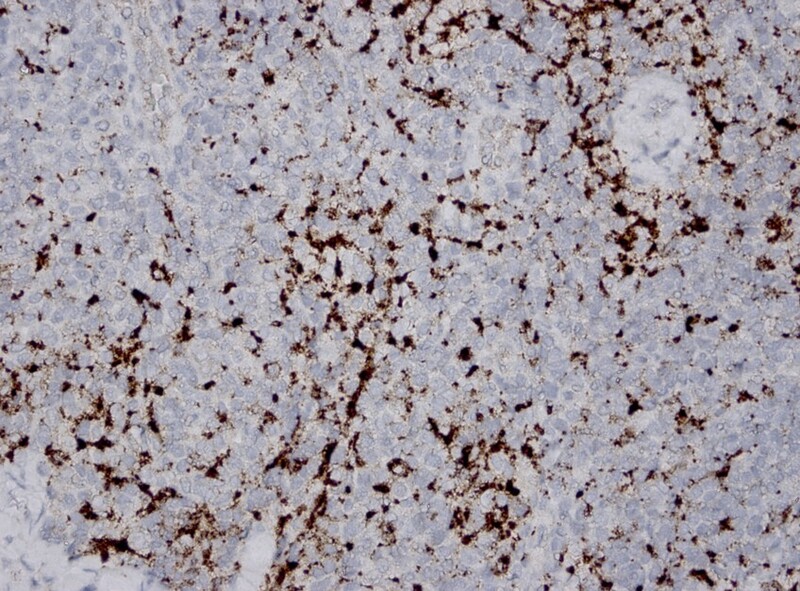 Figure 2: Immunohistochemistry of cervical lymph node, where the dark brown stained cells are Histiocytes(positive CD68 marker). To conclude, the different possible diagnoses in cervical lymphadenopathy are many, and since there is no clinical or paraclinic history, biopsy is a diagnostic tool in the event of suspected malignancy and/or rare diseases. TheRosai Dorfman Disease should be considered among the possible diagnoses, reporting a self-limited case without the need of using systemic therapies. 16. Haroche J, Cohen-Aubart F, Rollins BJ, Donadieu J, Charlotte F, Idbaih A, et al. The Lancet Oncology. 2017 (quoted 6 abril 2018); 18 (2): e 113-e125. 1 Servicio de Medicina Interna, Hospital General Ibarra. Ibarra, Ecuador. 2 Servicio de Anatomía Patológica, Hospital General Ibarra. Ibarra, Ecuador.